If on European market Hyundai is doing very well, just as most markets in the world, in Japan the Korean manufacturer has sales so low that he decided to leave this market, announces Automotive News. Failure is explained by the negative image of Korean cars in Japan. In the eight years in Japan, Hyundai has sold only 15,095 units. Very little, if we think that Volkswagen’s most successful foreign trade in the Rising Sun Country has sold just 61,996 cars in 2008! 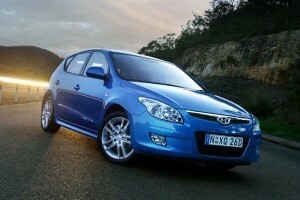 Hyundai announced today that all 46 dealers will withdraw from Japan. Hyundai will continue with the sale of commercial vehicles in this country, even if no sales in this segment are not at the desired level. Worldwide, Hyundai sales rose 7.2% this year (through October).